It’s over. 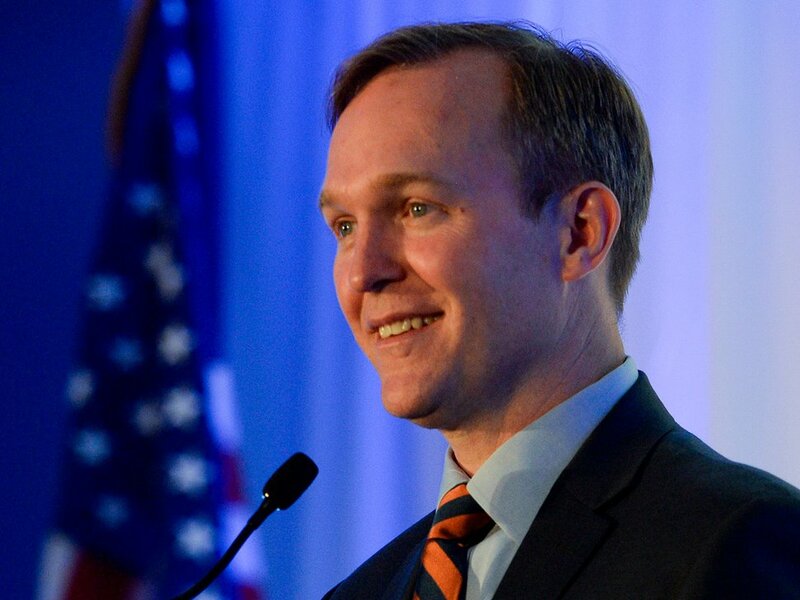 Democrat Ben McAdams ousts Republican Rep. Mia Love by 694 votes. 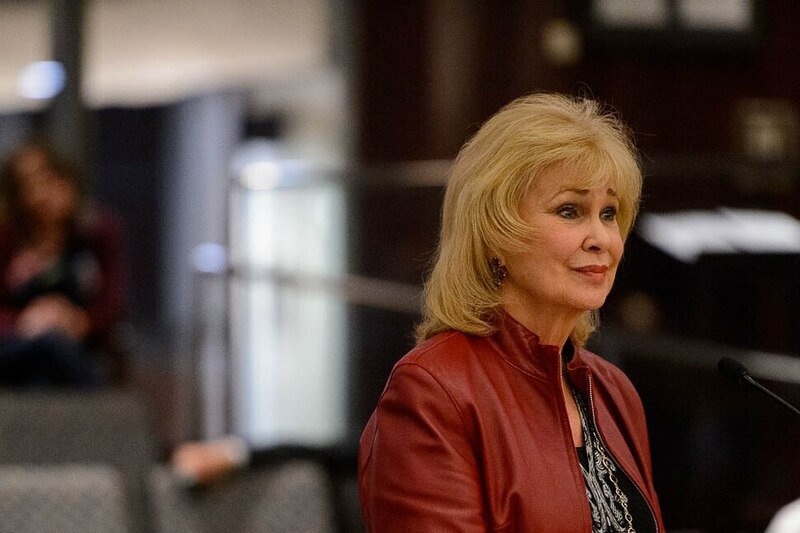 (Trent Nelson | The Salt Lake Tribune) Salt Lake County Clerk Sherrie Swensen addresses the County Council during the vote canvass in Salt Lake City on Tuesday Nov. 20, 2018. 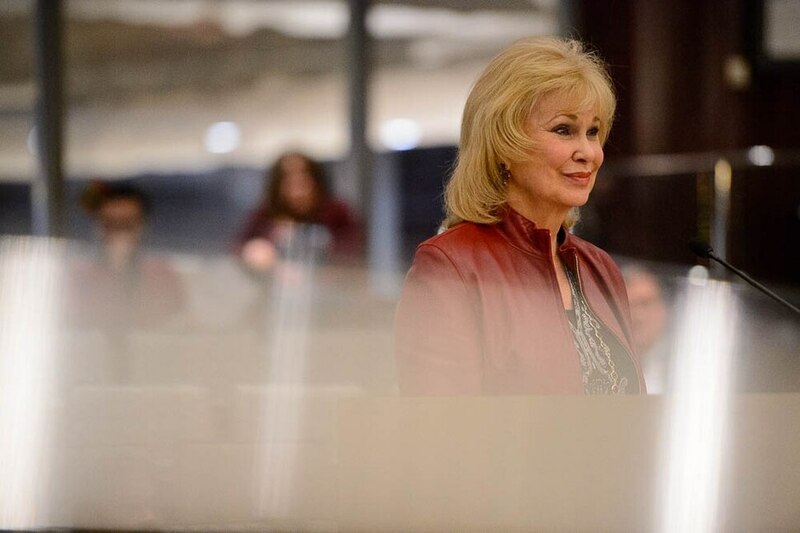 (Trent Nelson | The Salt Lake Tribune) Salt Lake County Clerk Sherrie Swensen addresses the County Council during the vote canvass in Salt Lake City on Tuesday Nov. 20, 2018. (Trent Nelson | The Salt Lake Tribune) Salt Lake County Clerk Sherrie Swensen addresses the County Council during the vote canvass in Salt Lake City on Tuesday Nov. 20, 2018. He won by 694 votes, or a margin of 50.129 percent to 49.871. That margin of 0.258 was barely outside the 0.25 percent that would have allowed Love to request a recount. Meanwhile, in the state’s other close-up-to-the-end race, Proposition 4 that seeks to end gerrymandering by creating an independent commission to redraw political boundaries after each Census also won — by a 50.34-49.66 margin. Those tallies came after county canvasses of votes statewide on Tuesday. A state canvass on Monday at noon will certify final results for the multi-county races. 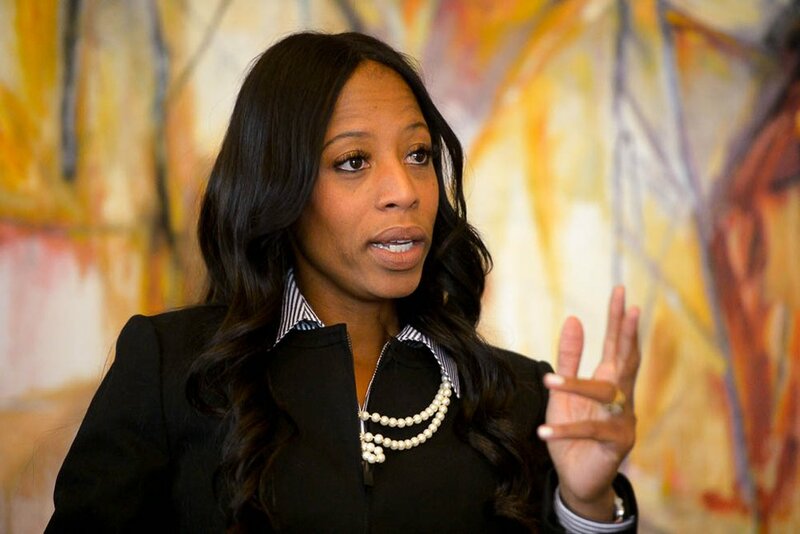 Love, the only black female Republican in the House, issued a statement Tuesday simply thanking voters. She is out of the state for the holiday, and said she plans a news conference Monday to discuss the race. Also, she and McAdams said they have yet to talk after the election, but plan to do so soon. I hope Utahns, particularly those in the 4th district, will be able to move beyond this unnecessarily divisive campaign and that all our candidates will hold themselves to a higher level of civility in the future. Like McAdams, Prop 4 supporters were relieved and looking to the future. “The voice of the people will once again be heard in drawing legislative lines — making sure Utahns choose their representatives and not the other way around. We expect the voice of the people will be respected and honored,” said Better Boundaries co-chairmen Jeff Wright and Ralph Becker. 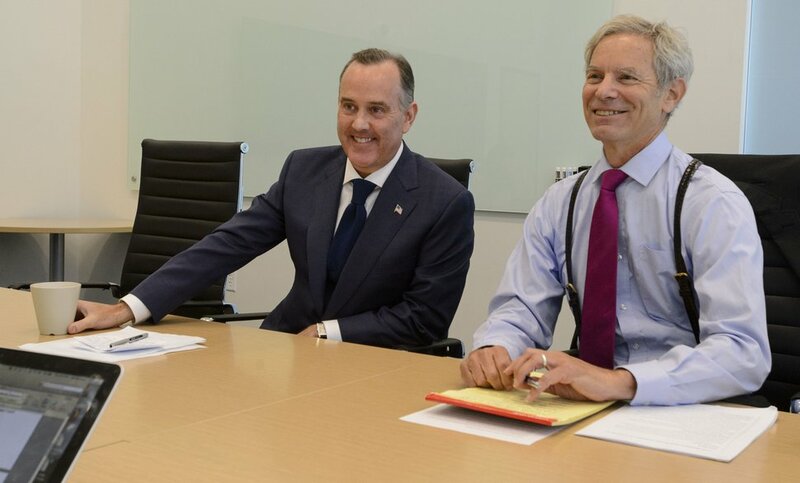 Steve Griffin | The Salt Lake Tribune Former SLC Mayor Ralph Becker, right, and Jeff Wright talk about the formal launch of the Better Boundaries initiative, which will ask voters to create an independent commission to redraw political districts . The pair spoke from the Cicero Group offices in Salt Lake City Thursday July 20, 2017. In part because of the close McAdams-Love race, Salt Lake County Clerk Sherrie Swensen said that in her county, “It was an unprecedented turnout: 81.93 percent turnout for a midterm election.” In comparison, the turnout for the 2010 and 2014 midterms was just 52 percent. The end of counting votes after two long weeks now allows McAdams to focus on future congressional work — and he talked in interviews and news conferences about that. He will be the only Democrat in Utah’s congressional delegation — meaning he also will be the only Utahn in the new Democratic majority in the U.S. House. McAdams also is among mavericks who have vowed not to vote for Democratic leader Nancy Pelosi to become the new House speaker. “First and foremost, I am on Team Utah before anything. I look forward to working with every member of the delegation,” he said. Leah Hogsten | The Salt Lake Tribune UtahÕs 4th Congressional District Democratic challenger, Salt Lake County Mayor Ben McAdams, at the Utah Democratic election night headquarters at the Radisson Hotel Salt Lake City, Tuesday, Nov. 6, 2018. He mentioned some issues at the top of his agenda. “I really hope that we can tackle immigration reform, especially coming up with a fix for ‘dreamers,’ ” young people who were brought into the country without papers by their parents, McAdams said. And he said, “One of the first things we’re going to do is hold a town hall meeting for voters to tell me what their priorities are.” McAdams and his supporters had criticized Love for not holding traditional town hall meetings. With such a small margin of victory, McAdams likely faces another tough election battle in just two years — and possibly a rematch with Love, although other Republicans could be interested in jumping into the fray. The next election in 2020 would be in a presidential year, which could fire up Republicans to vote in bigger numbers. President Donald Trump, however, is not popular in Utah, and has lower approval ratings in the 4th District than statewide. Also, Prop 2 on medical marijuana, which likely helped McAdams by bringing in younger and nontraditional voters, will not be on the ballot next time. He added, “I think there is too much campaigning and not enough serving. So I plan to spend a lot of time over the next year-plus serving the people." His campaign manager, Andrew Roberts, said no single item tipped the election to McAdams, but said McAdams’ message about bipartisanship was likely key to winning support among the district’s large numbers of unaffiliated voters. “His message about reaching across the aisle to get things done is what we think ultimately resonated with voters,” he said. Love’s campaign manager Dave Hansen said earlier that running in a midterm election when President Trump is not popular in Utah hurt Love. “If Hillary Clinton had won the presidency in 2016, it wouldn’t be this close,” Hansen said, adding that Republicans in the 4th District probably would have been more excited to help Love and fight Clinton.